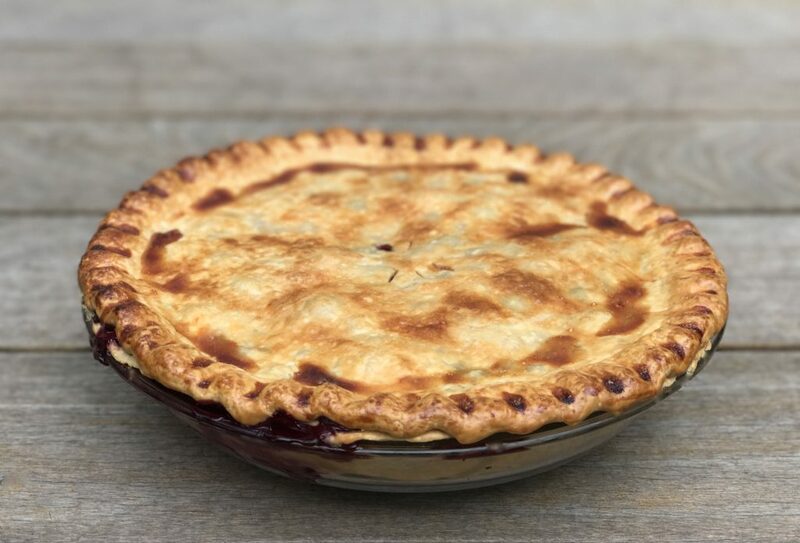 If you are looking for the perfect summer pie, I have you covered, this bluebarb pie is a must. The Fourth of July is the quintessential Yankee holiday and a large part of this patriotic celebration is food. From burgers to pie, we celebrate by eating various national classics. Pi Day, which is a new(ish) annual celebration of the famous mathematical constant, began being celebrated unofficially in 1988. Larry Shaw a physicist at the San Francisco Exploratorium, came up with the idea and corralled staff there to publicly march around one of its circular spaces followed by a pie eating celebration after. The House of Representatives officially designated March 14th as National Pi Day. Everyone I know now makes and eats pie on Pi Day, but Pie Day is has passed, it is now July, and we need more pie. I myself am not a huge pie person, mainly because so many pies are too syrupy and sweet. 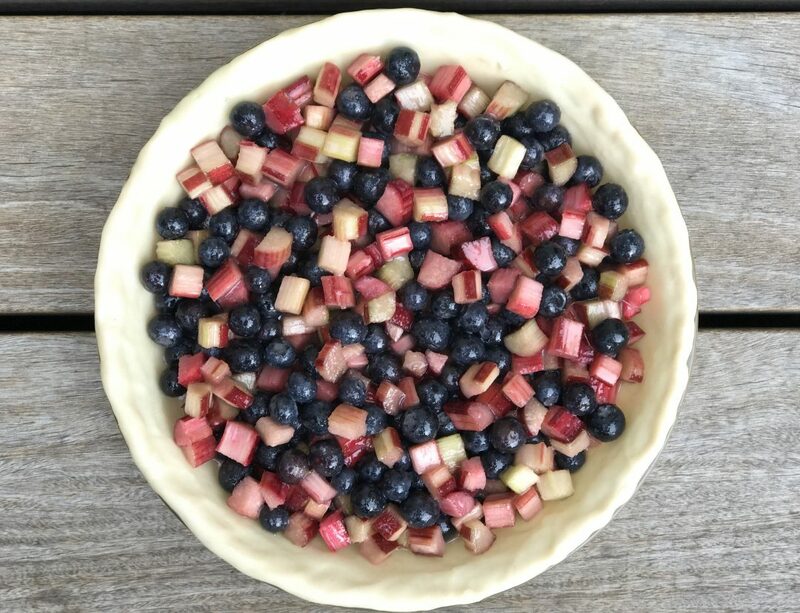 My kids, however, wanted a patriotic pie recipe in honor of the July 4th holiday, and I wanted something good. So this one is red, white(ish) and blue for my kids, and it’s tasty and not crazy sweet, for me. Rhubarb is delicious and a great way to make a dessert a bit more tart than sweet. Mixed with blueberries (a great antioxidant fruit), and you have what my husband named bluebarb pie. I prefer to make my own pie crust and encourage you to do so as well. I use a simple recipe and you can whip it up in a Cuisinart in no time. Make it ahead, freeze it, just make sure to give it some rest time before baking it. I suggest serving this with a good quality vanilla ice cream, but my boys insist on fresh whipped cream. Happy July 4th everyone. Step 1 Make the dough and allow to chill while making the filling. Step 2 Preheat the oven to 425 degrees F.
Step 3 On a lightly floured work surface, roll out both crusts. Line a deep 9-inch pie pan with the bottom crust and return both crusts to the refrigerator to rest while you make the filling. Step 4 In a medium mixing bowl, add the chopped rhubarb, blueberries, sugar and flour. Using a rubber spatula, gently mix to combine. Step 5 Remove the pie crust from the refrigerator. Scoop the fruit filling into the prepared pie crust. The fruit should come close to the rim. Top with cut up butter. Step 6 Place the top crust over the fruit filling. 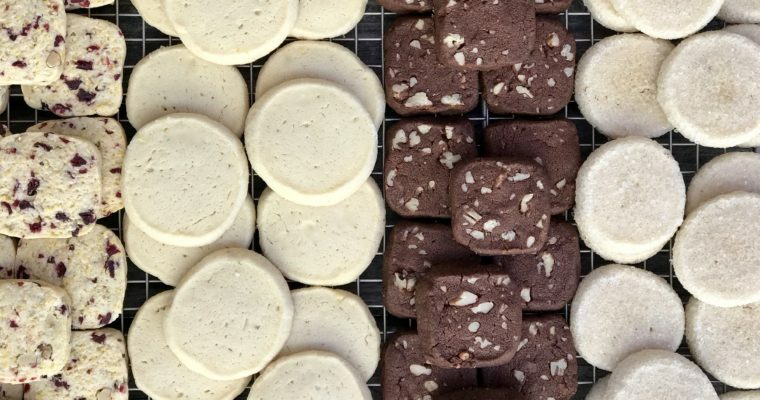 Trim any excess dough if needed from the edges. Step 7 Gently crimp the edge to seal, using your thumb to make a decorative edge. With a paring knife cut 5-6 vents on top to allow the steam to escape. Step 8 Using a pasty brush, lightly coat the top crust and the edges with the egg wash. Step 9 Place the pie on a baking sheet and place on the middle rack. Bake for 20 minutes. Reduce the heat to 375 degrees F and bake for another 25 minutes. If the crust is starting to darken too much, place a piece of aluminum foil over the pie for the remainder of the cooking process. Step 10 Bake another 5 minutes, or until you see steady bubbling in the filling coming through the vents. Step 11 Remove pie from oven and let cool completely before serving.